Most organizations have spent the past decade ramping up their response to network security threats, cybercrime and compliance regulations. 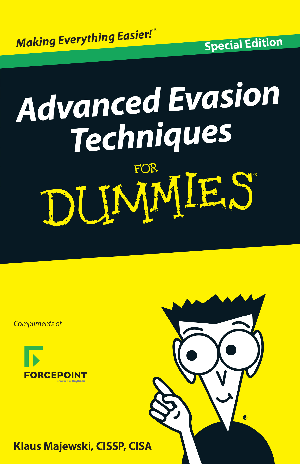 However, Forcepoint research shows that advanced evasion techniques (AETs) continue to break the security protection model that most organizations are using today. Written in an engaging, concise style, this e-book will immediately give you a better grasp of what AETs are, the risks they pose to your data, users and networks, and what you can do about them.